Barb Slone | Greene County News Ruscilli Construction President Jim Cetovich, National Church Residences Senior Vice President Matt Rule, Xenia Mayor Sarah Mays, Huntington Bank Vice President Amy Becker, and Legacy Village resident Peggy Reynolds break ground on a new senior housing project at Legacy Village. Joe Mullins broadcasts live from the groundbreaking event. The groundbreaking featured an open house, a free concert and food trucks. 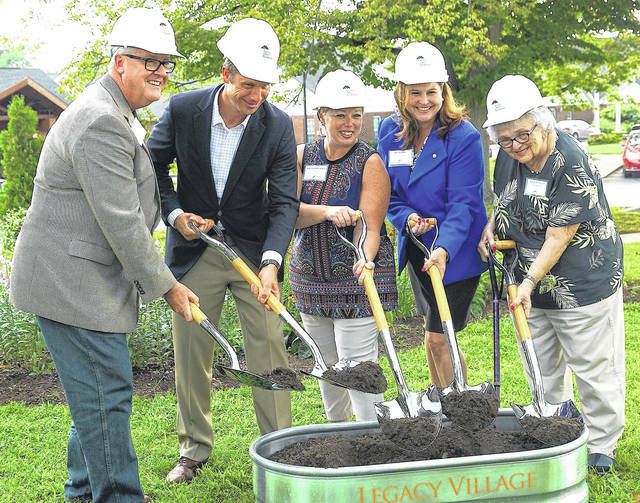 XENIA — Legacy Village Retirement Center hosted the groundbreaking for a new senior housing project on its campus Aug. 10. Created by National Church Residences, the new development will be a 51-unit mid-rise, at 695 Wycliffe Drive. Legacy Village is on a portion of the 253-acre land that housed the Ohio Soldiers’ and Sailors’ Orphans Home. National Church Residences assumed ownership of the senior community in January 2011. It currently has a 48-acre senior living community with 36 patio-style homes and 52 assisted living apartments. https://www.xeniagazette.com/wp-content/uploads/sites/32/2018/08/web1_DSC05657.jpgBarb Slone | Greene County News Ruscilli Construction President Jim Cetovich, National Church Residences Senior Vice President Matt Rule, Xenia Mayor Sarah Mays, Huntington Bank Vice President Amy Becker, and Legacy Village resident Peggy Reynolds break ground on a new senior housing project at Legacy Village. 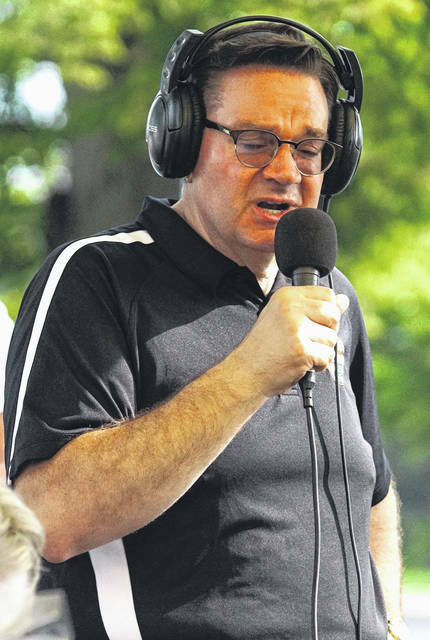 https://www.xeniagazette.com/wp-content/uploads/sites/32/2018/08/web1_DSC05643.jpgJoe Mullins broadcasts live from the groundbreaking event. 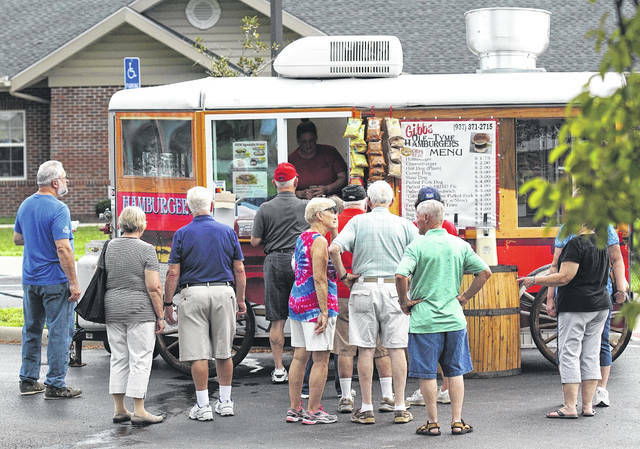 https://www.xeniagazette.com/wp-content/uploads/sites/32/2018/08/web1_DSC05646.jpgThe groundbreaking featured an open house, a free concert and food trucks.